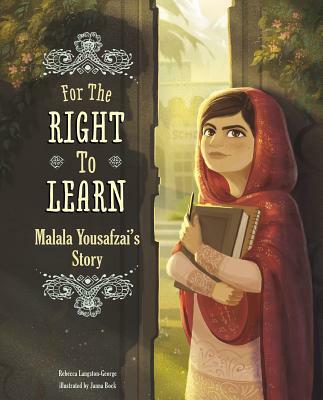 For the Right to Learn: Malala Yousafzai's Story (Encounter: Narrative Nonfiction Picture Books) (Paperback) | Let's Play Books! She grew up in a world where women were supposed to be quiet. But Malala Yousafzai refused to be silent. She defied the Taliban's rules, spoke out for education for every girl, and was almost killed for her beliefs. This powerful true story of how one brave girl named Malala changed the world proves that one person really can make a difference.